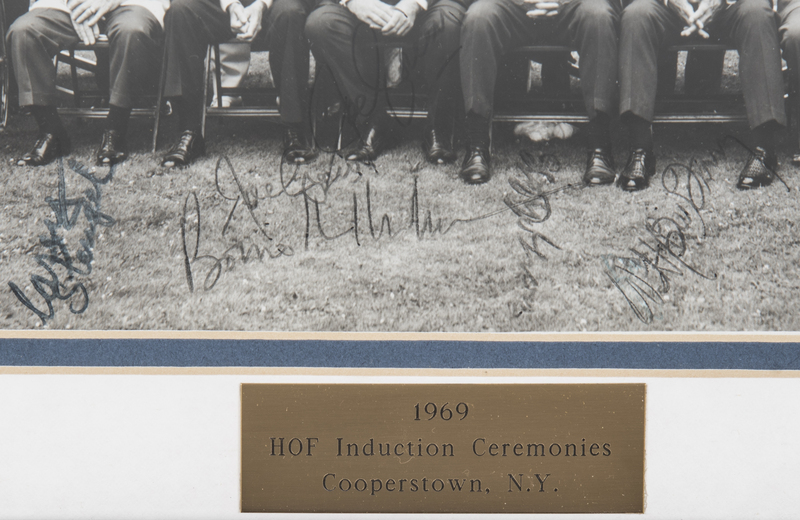 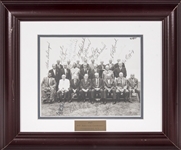 This photograph from the 1969 National Baseball Hall of Fame induction ceremonies has been signed by 20 Hall members and baseball legends. Signatures on this photograph include Charlie Gehringer, Luke Appling, Ted Lyons, Waite Hoyt, Stan Musial, Stan Coveleski, Lloyd Waner, Max Carey, Joe Medwick, Zack Wheat, Edd Roush, Sam Rice, Red Ruffing, Frank Frisch, Casey Stengel, Joe Cronin, Lefty Grove, Bill Terry, Bowie Kuhn, and one other. 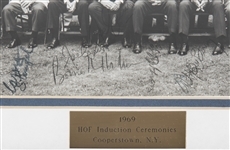 The signatures on this photograph have been written in black marker, blue marker, and blue pen. 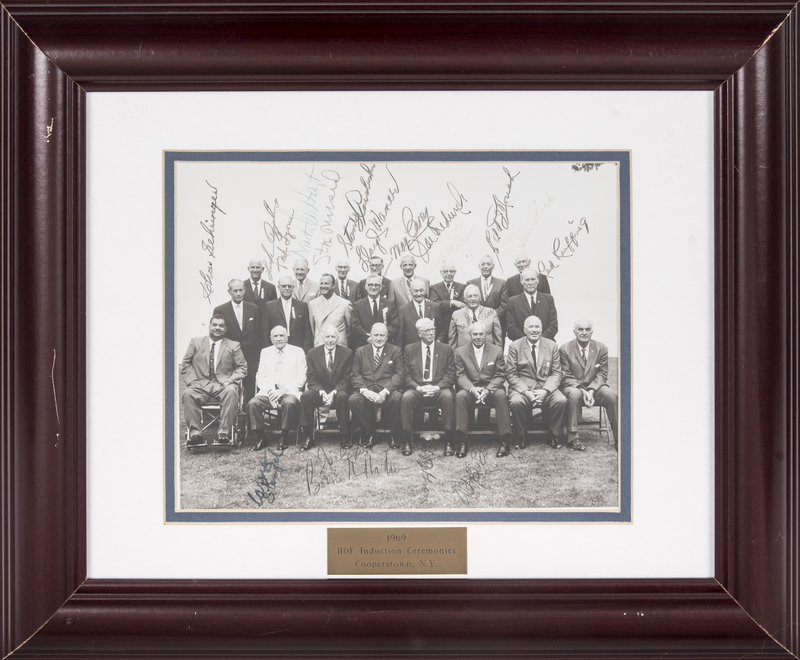 This photograph measures 9.5 x 7.5 inches and comes in a 17 x 14-inch framed display. 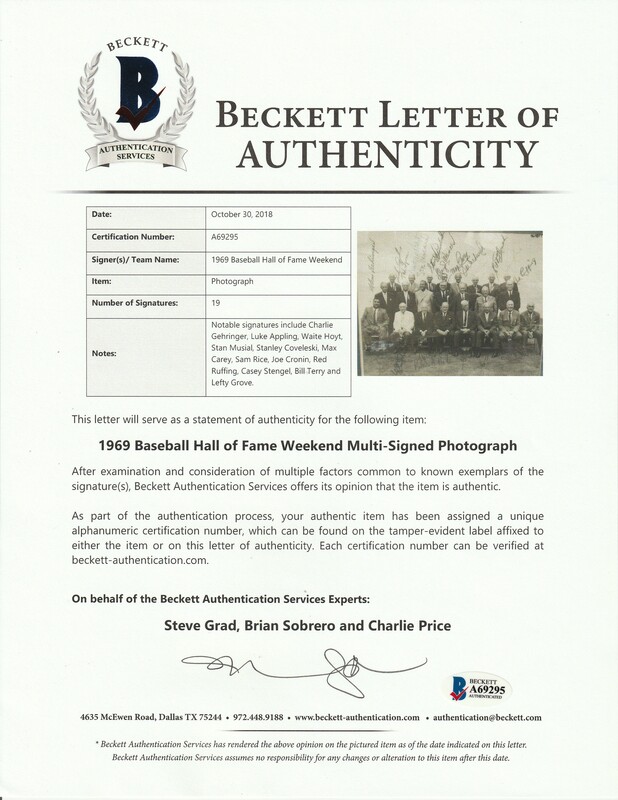 It is accompanied by a LOA from Steve Grad of Beckett Authentication (A69295).